A relatively small island but very famous all around the world! The home of Odysseus, Homer's hero in Odyssey. After having fought in the war of Troy for 10 years he and his men boarded their ships and set sail to return home which should have been a relatively short voyage. For 10 years however, they were blown from place to place around the Med, taken to lands of savage people and beasts where they had to fight for their lives and put to various tests by the gods. Eventually, many years after all his men and ships were lost, he managed to get back to his homeland alone. His love for it was so strong that he never lost his will and courage! And if the island was then as beautiful as it is today, you will understand why he never gave up. It is mountainous and very green, covered with olive trees, vineyards and oaks. The coastline is really curly thus forming many bays that 'dig' into the land. 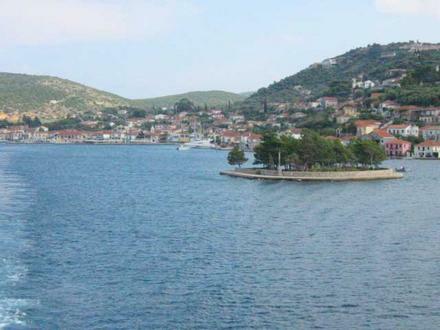 At the head of one of them which is so enclosed that looks like a lake, is the village 'Vathi', the capital of the island. The scenery there is amazing with its surrounding mountains, the calm waters and the tiny island of Lazaretto right in the middle of it. Another bay which is at the middle of Ithaca, the bay of Molos, digs so deep in the land that almost chops the island in two, leaving only a narrow strip 500 meters wide! 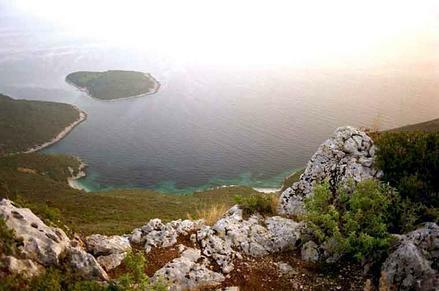 Some of the attractions of the island are The cave of the Nymphs (in which Odysseus is thought to have hidden the gifts of the Faeacians when he returned), the ancient spring Aretusa and the 17th century monastery of 'Taxiarchon'. 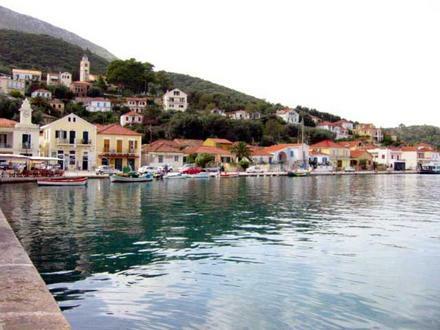 At the north, an ancient settlement has been found which is believed to have been the home town of Odysseus. The villages maintain the traditional architecture and as tourism has not affected this island at all, the people live in a very slow and relaxed pace. The main products are olive oil and wine while the fishermen make sure that there is always fresh fish available.